May buy 1 for yourself. May use 1 per customer, per party, per visit. Must use entire value in 1 visit. Not valid for ice cream. Expires 4 months after purchase. See the terms that apply to all deals. 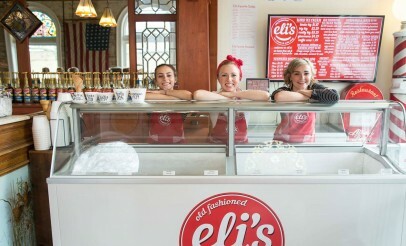 Eli's Old Fashioned Ice Cream & Soda Shop carries only the highest quality old fashioned drinks, Italian sodas, hot chocolate, coffee, baked goods, shakes, and fountain drinks with flavor shots. 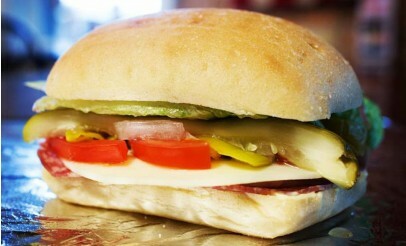 Eli's also serves delicious gourmet hot dogs and sandwiches. Take a step back in time to this vintage ice cream and soda shop located in the heart of Downtown Payson. From hot dogs and sandwiches to hot chocolate, tea and coffee, Eli's Old Fashioned Ice Cream & Soda Shop is THE place to go for classic american food!